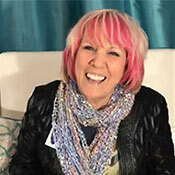 HURRY Join Kat Kerr and Sean Feucht in Israel with us. Ends Feb 28! 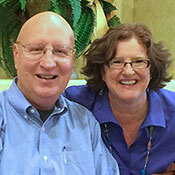 Join Kat Kerr and Sean Feucht in Israel with us. Ends Feb 28! Steve and Derene: I want YOU with us in Israel. It won’t be the same without you!! But PLEASE HURRY— LAST DAY TO REGISTER IS FEB. 28!! This Israel trip will undoubtedly be the most significant trip we have ever taken to Israel! 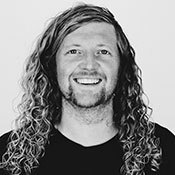 Not only are we having Kat Kerr, Sean Feucht, and Steve Swanson join us on this tour, but we have also arranged this trip to make it unique compared to other tours, which makes all the difference in the world. During our last tour, the Lord put it on my heart to make room for the younger, more adventurous crowd and have special activities JUST for them. This includes lots of hikes, rafting down the Jordan River (with Baptism possibilities for those who want to do that), and even an overnight stay in a REAL Bedouin camp! 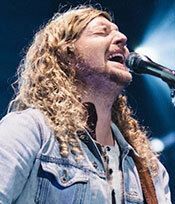 PLUS... we've invited (and he's coming) Sean Feucht. What a young MAN OF GOD, who carries the Presence of God with him. Please, please, please do not miss this trip. It will truly change your life. 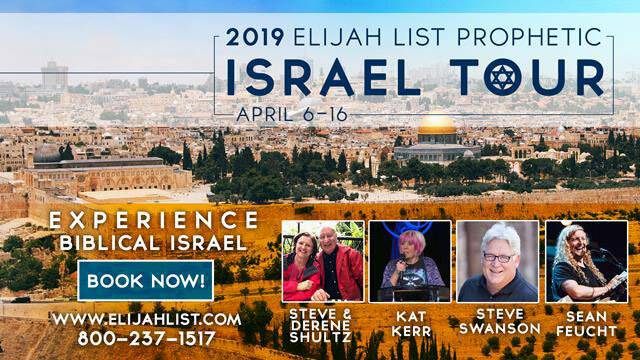 And finally, who would have guessed you could do all of this where Derene and I get to know you personally, as you join the ELIJAH LIST MINISTRIES tour of Israel. Let’s get going! April 6 through 16, 2019 are the dates of this amazing tour. 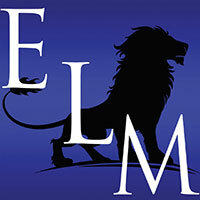 Just start clicking links below to get registered. It’s EASY and it's all here! See you in April for the tour of a lifetime! Upgraded room categories may be available to book later in the booking process. which are subject to change until ticketed. 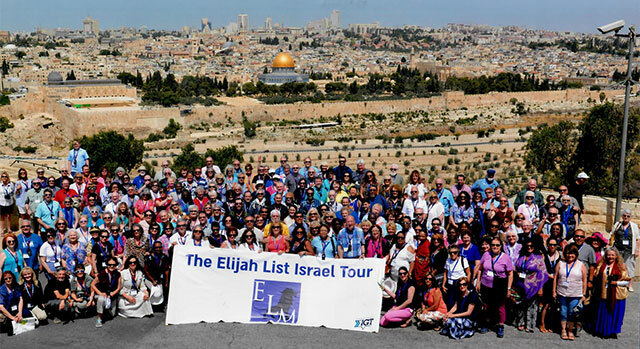 1 prophetic tour with 2 great itinerary options! Flights from NYC are available (optional) when choosing first two tour options above (Main or Adventure). Flights from LAX are available by picking either option listing "west coast flights" above. • We arrive in Tel Aviv, Israel and are met by an Ayelet Tours representative. • We are transported via deluxe motor coach to our upscale hotel in Tiberias on the Sea of Galilee to check in and refresh. • This evening, we enjoy dinner together at our hotel. • After breakfast, we start the day with a special welcome gathering at the hotel, then board our boats for a special time of prophetic ministry right on the Sea of Galilee - the Sea of Miracles! 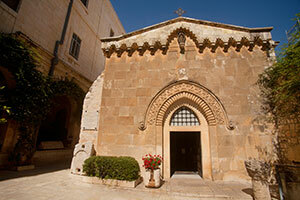 Kat Kerr and Steve Swanson will minister on the waters where Jesus literally walked. • This afternoon, we enjoy lunch on the other side of the sea at Kibbutz Ein Gev. • Following lunch, we travel north to the Golan Heights to visit Caesarea Philippi, where Jesus asked Peter "Who do people say I am?" • Next, we ascend to Mt. Bental for a view into Syria, where much of today's global headlines originate from. Wow! What an amazing first day of our tour. • We return to our hotel for dinner together this evening. • Spend the morning at leisure relaxing at our hotel. • This afternoon, we drive to Mt. Carmel in Haifa, where both the main and adventure participants will gathering together for a powerful prophetic gathering with Kat Kerr and Steve Swanson. Imagine that - an Elijah List gathering on Elijah's mountain, where God sent fire from Heaven and the prophets of Baal were destroyed. Sounds like a divine set up for breakthrough! 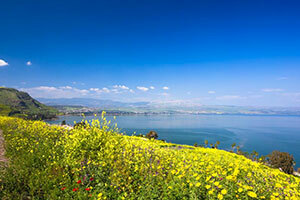 • We continue back towards Tiberias via Nazareth and visit Mount Precipice overlooking the Jezreel Valley. • We complete our day at the Jordan River where you may be baptized if you desire. *Note: Both the main and adventure groups will be together, so you may be baptized as a family if you wish. • Return to our hotel for dinner. • We begin our day in Capernaum. This was Jesus' second native city, where He taught in the synagogue and healed Peter's mother-in-law. • Next, we go visit Tabgha, the site of the multiplication of loaves and fish, and Jesus' fourth appearance after His resurrection. • We travel south through the Jordan Valley along the Jordan River and up to the Judean Hills to Jerusalem for a special welcome ceremony in the Eternal City. • We check into our hotel and refresh before dinner together. 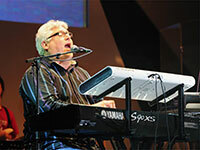 • Following dinner, we have a special worship gathering with Steve Shultz of Elijah List Ministries and Steve Swanson. • This morning, we explore the Mount of Olives, on which Jesus spent time in prayer and on which He will set His feet as He returns. 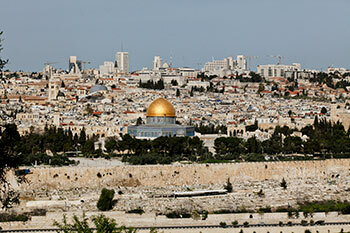 Enjoy the magnificent view of the Old City of Jerusalem and the Temple Mount. • We continue to Gethsemane, most famous as the place where Jesus' agony in the garden took place. • This afternoon, we visit the Garden Tomb, where we will have a special service with Kat Kerr and take communion. • We end our day at the Yad Vashem complex, a memorial to the victims of the Holocaust. • Dinner together at our hotel tonight. • Following dinner, we join the main tour group for a special gathering with Kat Kerr and Sean Feucht. • This morning, we descend to the City of David (Ir David), the location of the Biblical city of Jerusalem captured by King David over 3,000 years ago. We walk through Hezekiah's tunnel to the Pools of Siloam. • Next, we tour the Jewish quarter of the Old City and see the Broad Wall from the period of the First Temple. • We continue to one of the holiest sites in the world, the Western Wall, the last standing remnant of the Second Temple, with an opportunity to see those praying and to say our own prayers. • Dinner at our hotel together this evening. • Today, we travel from Jerusalem to the Dead Sea basin, the lowest place on earth at 1,300 feet below sea level. • We arrive at Masada and ascend by cable car to view the remains of King Herod's palace turned into a fortress against the Romans. We view with our own eyes the outline of the Roman camp in the desert, which to this day can be seen by the naked eye. • We stop at Qumran, site of the Dead Sea Scroll discovery and continue to Kalia Beach to enjoy the natural mud and the opportunity to float in the healing waters of the Dead Sea. • We return to Jerusalem through the Judean Mountains for a relaxing evening and dinner together at our hotel. • Today, we drive north of Jerusalem to visit Shiloh in Samaria, where the Tabernacle stood for almost 400 years. This is the place where Hannah prayed her famous prayer and Samuel was born - the beginning of the Prophetic era. We will enjoy a special lunch at Shiloh and have a special prophetic gathering with Kat Kerr, Sean Feucht and Steve Shultz at this sacred site. • We return to Jerusalem for a nice evening and a farewell dinner together, recalling all that we have experienced on our journey. • Depending on your flight time, you may transfer to Ben Gurion Airport or enjoy free time to discover Jerusalem on your own. If your flight does not leave until later in the day, you may join one of the planned sight-seeing options in and around Jerusalem. This is the hardest day because it is time to go home. 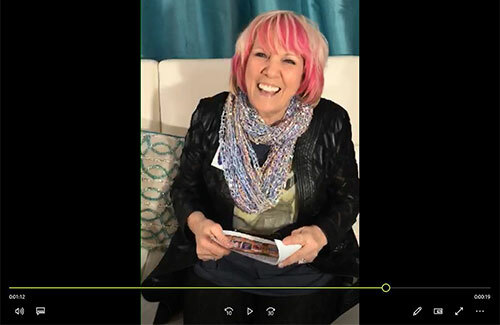 But before you go, you can exchange addresses and emails/social media with new friends you have met on this prophetic tour so that you can keep in touch with them after you depart from Israel. We arrive back in the United States this morning with a lifetime of memories and friendships to cherish. Welcome home! • After this unforgettable worship experience, we enjoy an authentic "Peter Fish" lunch on the opposite shores of the sea. • Following lunch, we head to the Jordan River for a special water rafting experience near Bethsaida, the place where Jesus miraculously fed thousands of people with only two fish and five pieces of bread. • We continue north to the majestic Golan Heights where we set out on a beautiful off-road jeep tour. • We return to our hotel for dinner together this evening. • Today, we drive to Mt. Carmel in Haifa, where both the main and adventure participants will gather together for a powerful prophetic gathering with Kat Kerr and Steve Swanson. Imagine that - an Elijah List gathering on Elijah's mountain, where God sent fire from Heaven and the prophets of Baal were destroyed. Sounds like a divine set up for breakthrough! • We complete our day at the Jordan River, where you may be baptized if you desire. *Note: Both the main and adventure groups will be together, so you may be baptized as a family if you wish. • Today, we depart our hotel and travel to Sachne to enjoy some time in the unique warm waters in the desert. Sachne is an amazing place where you can swim in the warm water, enjoy all the waterfalls and have a fun time together. • We continue to Caesarea, a very special place on the Mediterranean Sea. Here, we will visit the ruins of Herod's Palace, see the Roman theater that seats 5,000 people and the Caesarean aqueduct. We will also walk in the famous hippodrome that seated 10,000 people during the time of Herod when people would watch horse races. • We travel south through the Negev Desert and arrive at the unique Kfar Hanokdim Bedouin camp in the Judean Desert, where we will spend the evening and night meeting the Bedouins and learning how they live today. We will also tour the desert on camels and arrive back to sleep in the Bedouin tents with camels all around, just as they did in the days of the Old Testament. • This morning, we drive to nearby Masada, the famous fortress built by Herod the Great around 30 BCE and where Jewish people took refuge after destruction of the Second Temple. We will climb the famous ramp that ascends Masada to explore and return by cable car down the other side. • Next, we drive to Ein Gedi to hike into the desert on a scenic path. We arrive in the area where David hid from King Saul and end up in the special pools where you can take a dip in the water in the middle of the desert! • We continue to the Dead Sea, the lowest point on earth at over 1,300 feet below sea level. The sea is 1,000 feet deep with water 10 times saltier than the ocean. You just float! We enjoy Kalia Beach, a great place for a fruit drink in the shade and of a course a float in the healing waters. Before you jump in, treat your body with the healthy mud. • We drive 4,000 feet (1,200 meters) up to Jerusalem and check into our hotel. 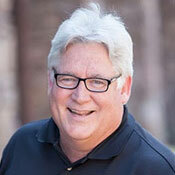 • This evening, we join together with the main tour group for dinner at our hotel, followed by a special gathering with Steve Shultz of Elijah List Ministries and Steve Swanson. • This morning, we visit the Yad Vashem complex, a memorial to the victims of the Holocaust. • We descend to the City of David (Ir David), the location of the Biblical city of Jerusalem captured by King David over 3,000 years ago. We enter Hezekiah's water tunnel. The Bible talks about how King Hezekiah built this water tunnel during the 7th century BCE and still today, the water is running in the tunnel. Here, you can walk in the water that can be knee deep. After going through the tunnel, we will end up at the Pool of Siloam. • This afternoon, we visit the Garden Tomb for a special worship gathering with Sean Feucht. • We enter the Old City and come to the famous Western Wall, the last standing remnant of the Second Temple, with an opportunity to see those praying and to say our own prayers. • We begin our day at the Mount of Olives and enjoy the magnificent view of the Old City of Jerusalem. • We continue to Gethsemane, most famous as the location where Jesus' agony in the garden took place. • As we come to the Jaffa gate, we enter the Old City and start a special walk on the actual wall and visit the different quarters with all of the small cobblestone streets and bazaars. • Dinner together this evening. • After dinner, we visit Ben Yehuda Street in the center of Jerusalem, a lively street filled with shops and cafes and music playing. Click HERE to read more and get started today.